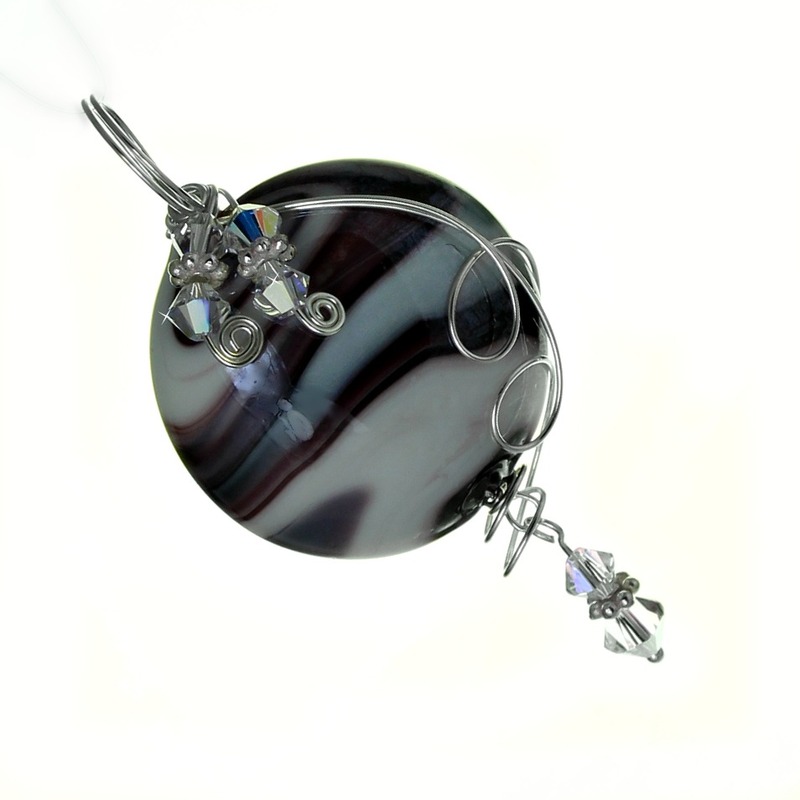 Deep rich hues of blackberry swirl through this stunning glass bead pendant providing a vibrant statement piece to add to your wardrobe. Wrapped with non tarnish silver plated wire. Measures 2 1/4″ total length.